A very tough and versatile large acreage cultivator. in one pass at 7 mph. £19,500 + VAT ex yard. 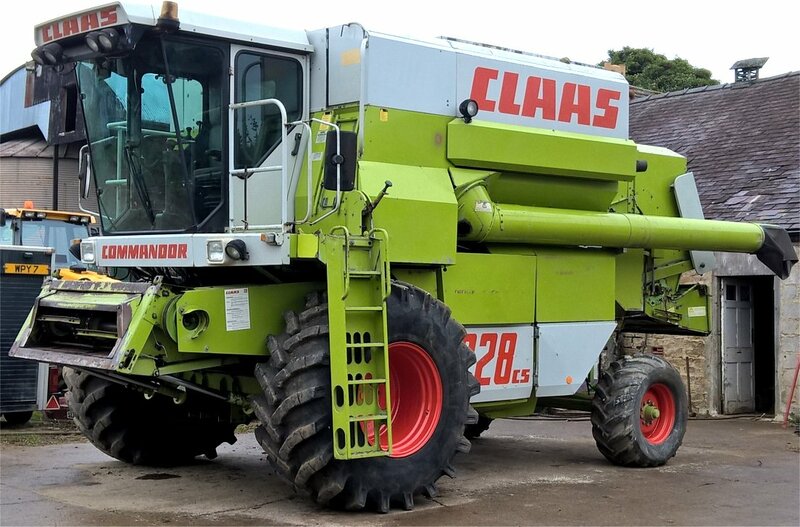 Claas Commandor CS 228 rotary combine, 1991. £14000 + VAT. Ex Yard. as a result of a buyers finance failing, and his non-refundable deposit being taken off the price. 7.5m autocontour header with twin axle trailer, 3D sieves. Straw Chopper. 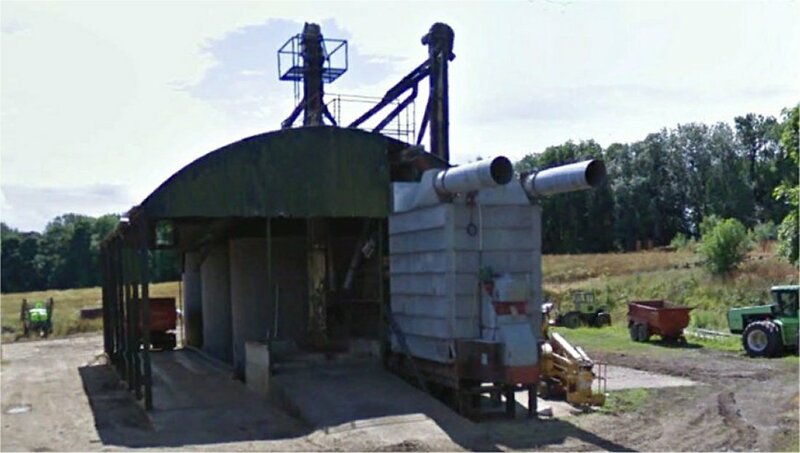 Chaff Spreader. V10 Merc. £14000 + VAT. Ex. 01677 422158 or 07710 287147. This Working Grainstore is now being dismantled . This Dutch Barn which houses it is 98 x 39 x 20 to the eves, and is also for sale. £1000 + VAT, - buyer dismantles. Lifting equipment available with driver. Two Bentall Simplex Outdoor 150 tonne grain bins. 21ft dia, Good condition, Professionally Dismantled. Bentall Simplex Outdoor 300 tonne grain bins. (used indoors here). A 14tph Continuous Mixed Flow Vertec Drier. A 31tph Westrup 1250 Dresser. For many other items please follow the link below. - FERGIE - MF - MASSEY HARRIS - TURNER - LELY Victory Combine. HOWEVER IT HAD ALREADY BEEN SOLD AGAIN. AFTER THREE YEARS AND 517 HOURS SINCE A FULL REBUILD. THE CLIENT NEEDED MORE GRUNT. FW 60. 420 bhp. Automatic. 1986. 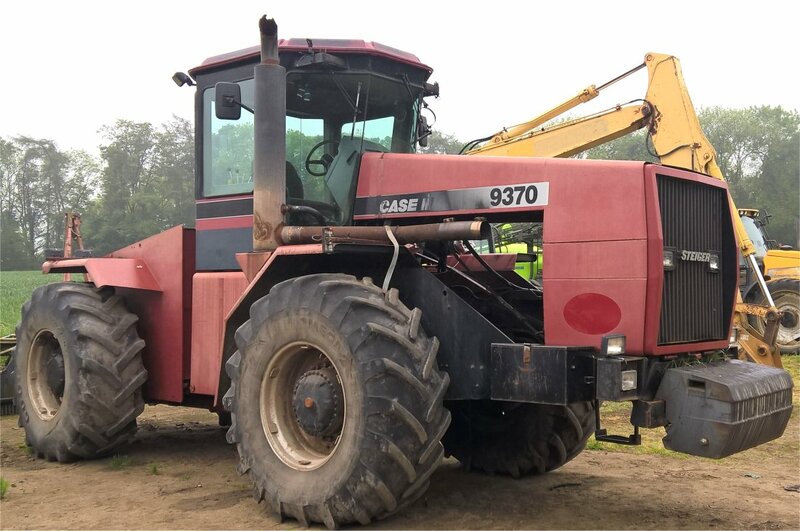 Case Steiger 9370 which will bear the AMTRAC name when finished. This page will be updated as work progresses, but it started with this tractor, then not looking too impressive. To the observant, there is a certain omission in the engine department. This represents an opportunity that has been anticipated for many years. Rare, very low hours, and in this guise, probably unique. 705 bhp with the Kvernland / Jean de Bru 9m cultivator frame, fitted with 31 pigtail tines 40mm x 40mm. Points 3" wide. Wings 19" wide. Depth 9". Speed 9 mph+. Soil Medium Loam with clay areas, - hard. 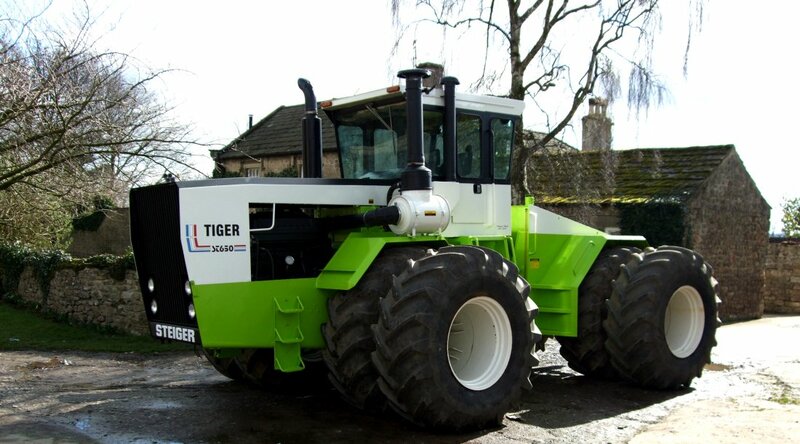 Go to www.youtube.com and type in a search for 'Steiger Tiger 700 tractor'. It is now fitted with nearly new 900 x 32 single wheels. Then why not buy one from us, since we can give the back up and supply parts. 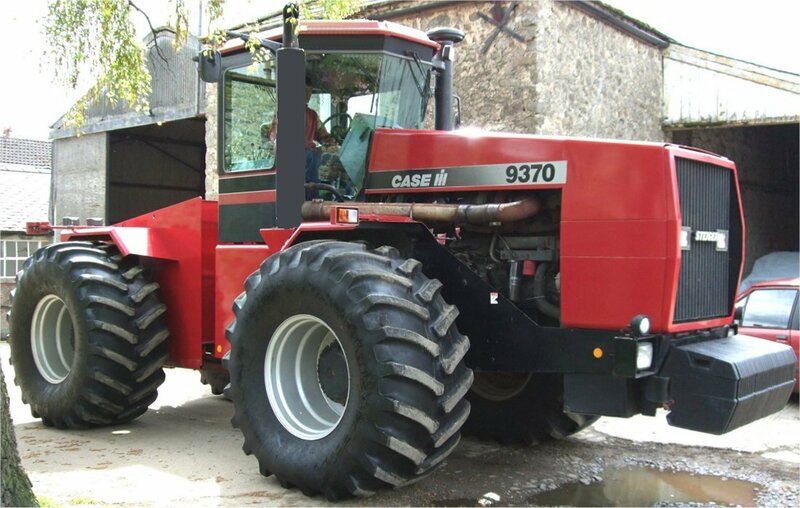 We supply parts worldwide, however only the clients who have purchased tractors from us have access to the stock of obsolete parts which we have specially made in batches, and also our valuable free advice service. This advice is what our tractor clients buy along with their tractor, and they also get 20% discount on new parts. These brutes have been coming here since 1984. Although they are solid and reliable it's likely that we will have seen most problems before. It's our speciality, and we enjoy being anoraks ! A line from a 295 bhp Steiger / Ford FW 30, to an Amtrac 525 bhp Tigress . 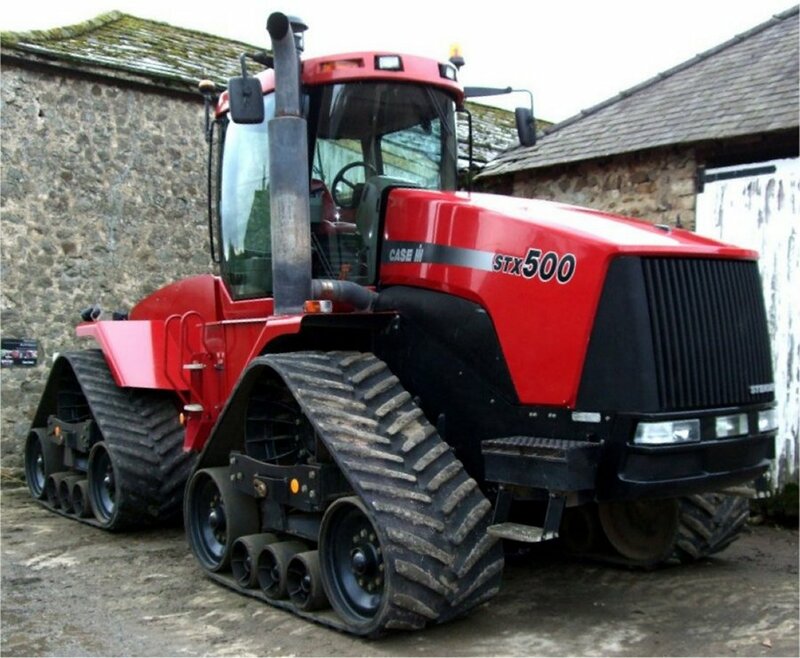 We have sold tractors up to 705bhp. American Tractors (now Amtrac) is unique in offering you the tools to do the job! 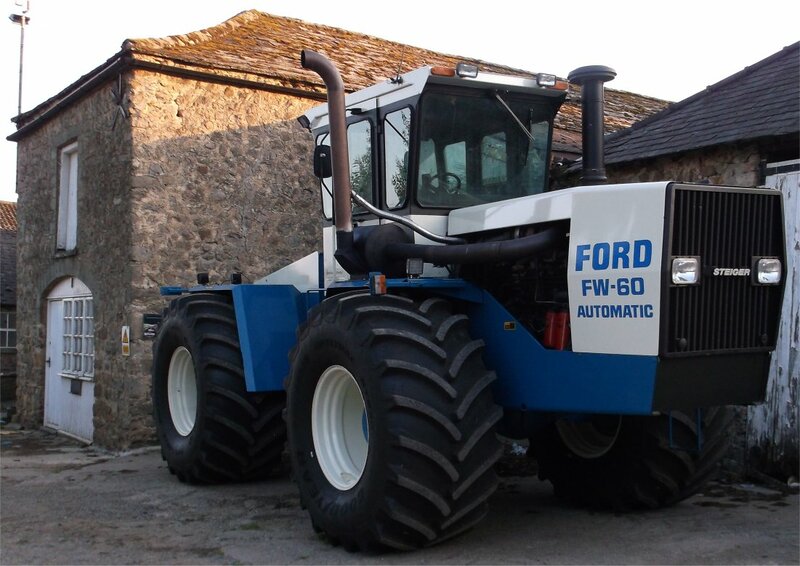 We are Europe's premier outlet for rebuilt Steigers and Ford FWs. Our reputation is built on solid reliability and a high level of personal service. this Cat engined 525bhp Lioness on twin 710 x 38 tyres. The Cat engined 460 bhp Lioness below was built in 1998.
measuring only 77 dba at the drivers ear with both doors open travelling at full revs. It recorded 72 dba travelling at full load speed with the doors closed. Below is the prototype Tigress built here in 1992. It was rebuilt in different guises three times in a brief 630 hour life, and then dismantled. (too expensive to HSE cab test for a one off). However the components have been bought by a collector for him to rebuild. Version 1 and version 2 (above) were 470 bhp. Version 3 was 525 bhp in 1994.